Mirtec is revolutionising information and signage accessibility in public establishments. One of the ways we have achieved this was during an experiment in the development of interactive scanning technology via mobile phones to communicate information to those with limited sight, and to help those who suffer and cope with the complexities of reading Braille. NFC, a new embedded smart phones feature, created a far-reaching yet instantaneous link between the smart phone and a new accessibility tag, connected to current systems, which allowed the visually-impaired to improve his or her accessibility skills. NFC is a leader in supporting android smart phones - no application download is more important. 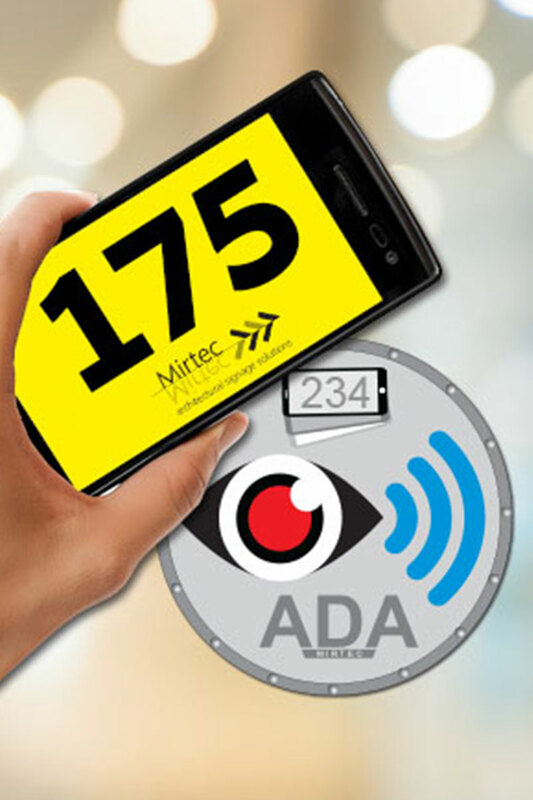 Mirtec can present you with an array of possible solutions that can be established on existing ‘Wayfinding’ platforms for new signage across the whole field of visual impairment. We have devised a simple, easy and revolutionary solution, and a significant step-forward in the need for a greater degree of independence for those with limited sight. It is a tiny contribution to make to achieve such superb benefits, providing millions of people with easy to adopt accessibility. Click here to see how it is actually working on the ground.